It’s mid-January which means the Christmas lights have been taken down (or at least turned off) and the snow that previously provided winter wonderland ambiance has now accumulated in grime-encrusted piles by the side of the road. In December, cold weather meant rosy cheeks and noses. In January, it just means stiff joints and dry chapped hands. What a difference the holidays make! So how can you put a bit of jolly into January? 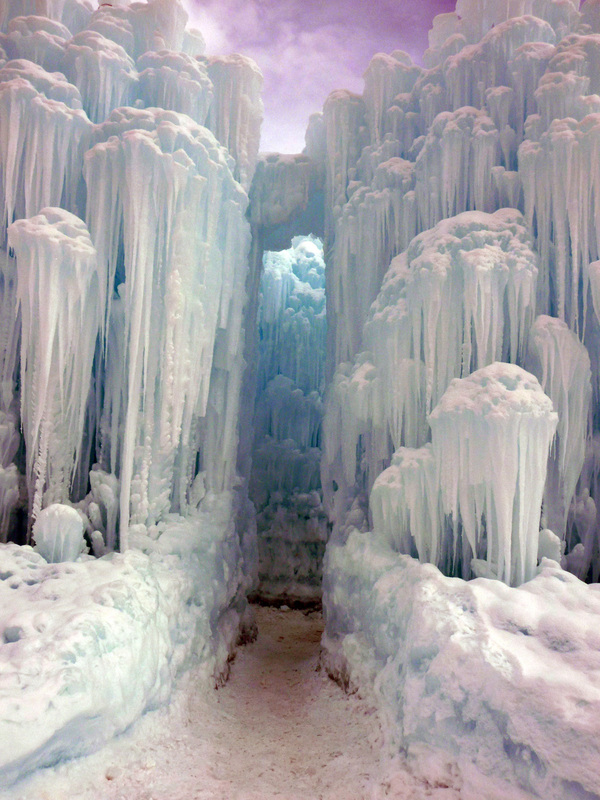 Two words: Ice Castles. No, not the cheesy 1970’s movie featuring Robbie Benson and a previously--and subsequently--unknown actress Lynne-Holly Johnson. 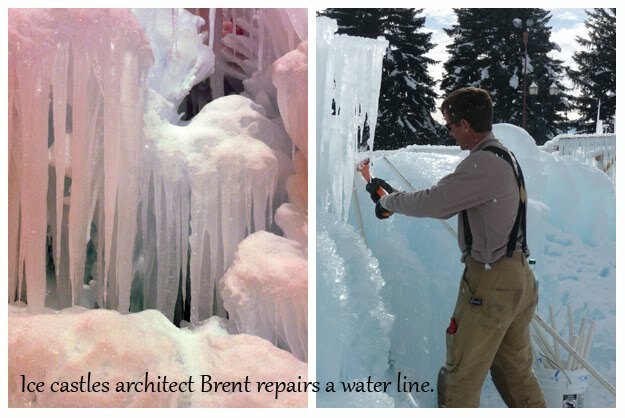 I’m talking about the magnificent structures constructed by master ice craftsman Brent Christensen. I first saw one of his structures in a vacant lot on my block when I was lucky enough to be a neighbor of the Christensens. An amazing ice palace seemed to have risen out of the ice and snow. People driving down the street would pull over and whip out their cameras. It caught the eye of someone from the Zermatt Resort in Midway as well, and the next year, Brent and his family were invited to live at the resort while he spent months constructing and grooming vast towering pillars and palaces of ice, some towers reaching as high as 30 feet. This year, the ice palaces have been constructed in downtown Midway behind the city buildings and the outdoor ice rink. The structures have to be seen to be believed. They’re like towering cathedrals of ice. Two of the structures have been built so that people can walk through them. Although the structures grow organically, formed by dripping water and freezing temperatures, their growth has to be pre-planned and guided. To one side of the pathway, you’ll actually see an icicle “farm” where Brent grows the icicles that will eventually become towering pillars of ice. The structures have to be maintained as well which means Brent and his crew literally scale the structures with special climbing gear like arctic explorers. The varying textures and colors in the ice formations are fascinating. This really is like taking a walk through a mythical landscape. I have visited the structures in the daytime and at night. Each experience is magical, but at night the towers become almost otherworldly. 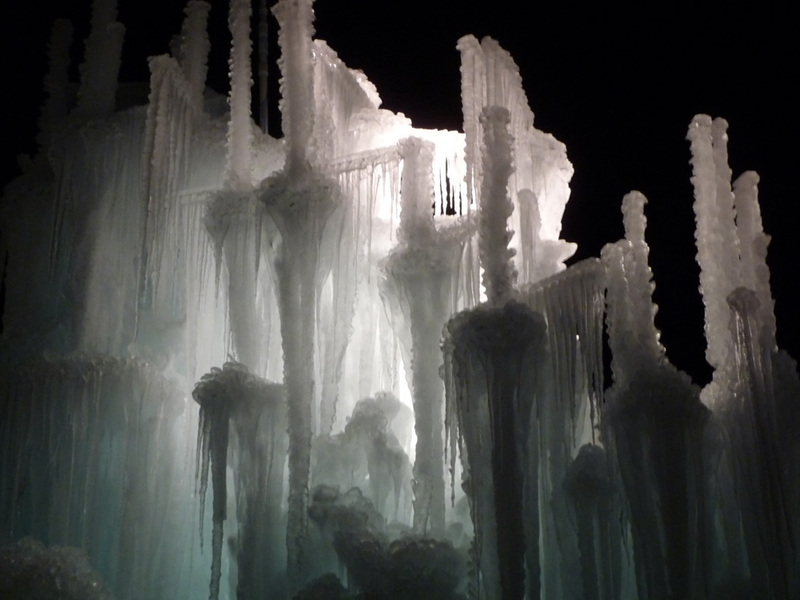 I highly recommend making the trip to Midway to see the ice castles. This is an excellent family activity. And Midway is such a charming spot, it all adds up to a festive winter outing, a suitable follow-up to the holiday season. 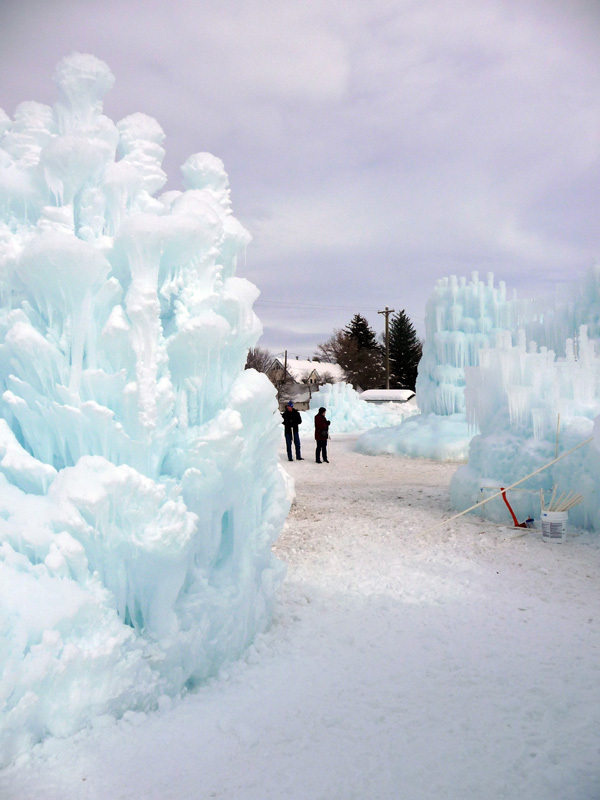 To read more about how Brent Christensen constructs the ice castles, and to see some amazing pictures, check out his blog here. You can also read a review by the Provo Daily Herald here. Great feature! We love the ice castles, and were just up there this weekend. Keep up the great and unique work, Brent. I just saw this last Wednesday when we took the YM and YW to the ice skating rink for our activity. 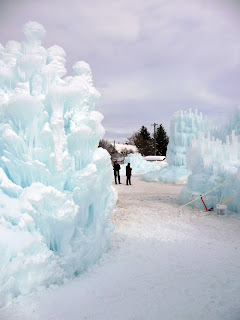 I can definitely recommend the Ice Castles as well as the outdoor ice skating rink. I've been meaning to go see these -- I heard about them last year -- thanks for the reminder!